The book explores a relatively unfamiliar and under-appreciated area of Greek literature, imaginary letters written between about 100 BC and 500 AD. They are imaginary or fictional either because both writer and recipient are invented, or because they are attributed to real historical characters. In the latter group, the real authors are unknown, whereas we know at least the names of those in the first group. 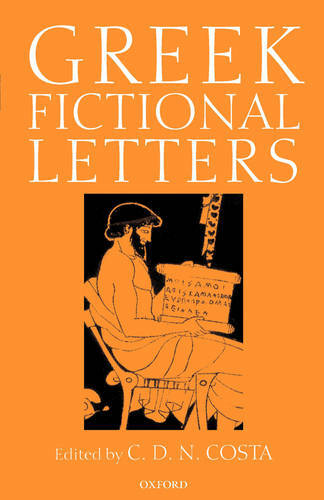 Letter writing, real and fictional, was an important activity in this period, which was also the time that the sophists or professional rhetoricians were very influential in the political and educational life particularly of the Greek east. Many of our authors clearly were sophists practising their skills, especially in character portrayal. This selection opens a window on an attractive, lively, and often amusing area in the history of Greek prose. All the letters are translated, and the commentaries provide both grammatical help and background information.